All our trailer covers are custom made to order. 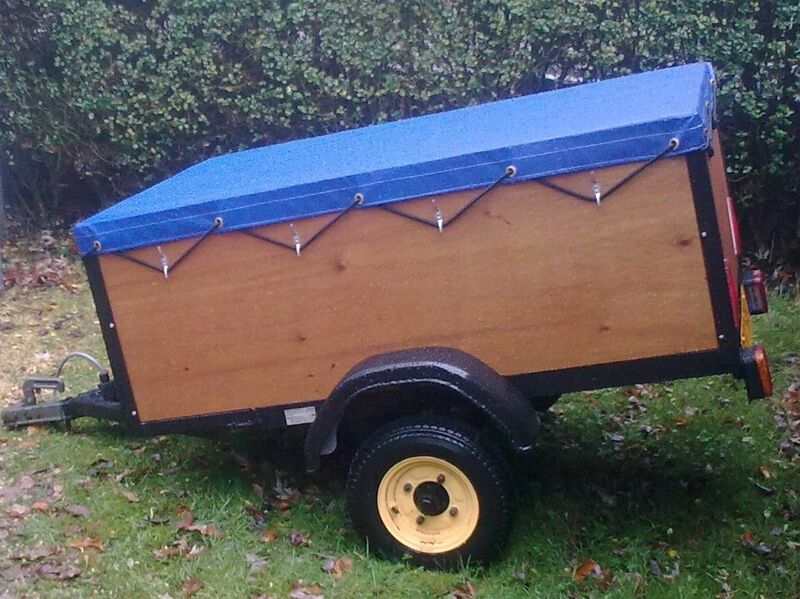 We will make your trailer cover specifically for you, to your measurements to suit your purpose. Our custom trailer covers will provide essential protection from the elements whilst keeping your trailer and its contents safe and secure. 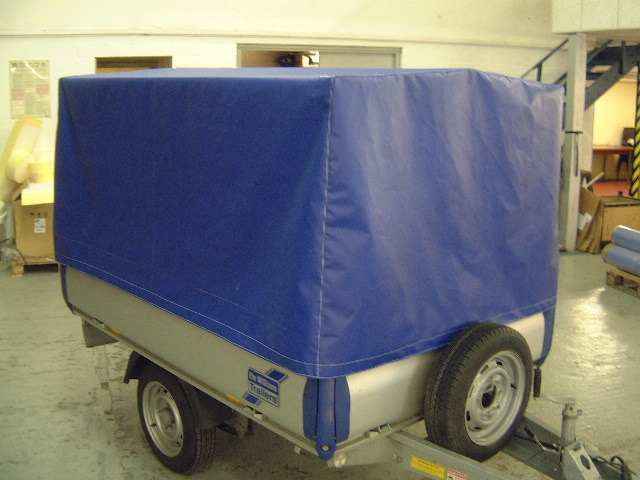 We use a durable 580 gsm PVC for our made to measure trailer covers with brass eyelets and 6mm shock cord. 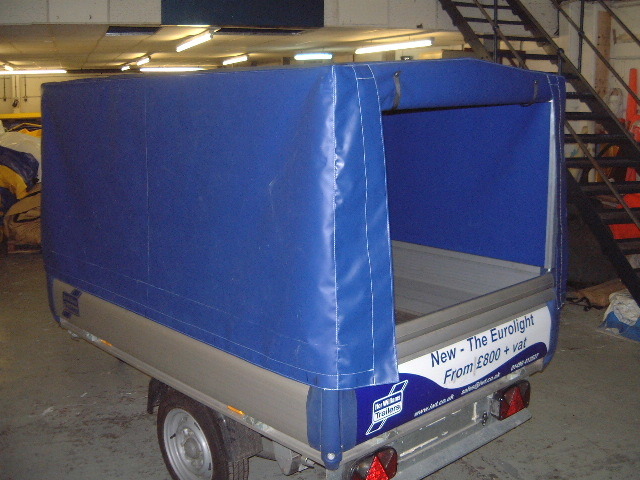 For larger custom trailer covers we can provide zipped or velcro rear access, making it easier to roll up the rear panel to give access to your trailer. We can also customise your covers to fit around ladder racks or support bars using velcro flaps. If your trailer is local to our premises you can bring it along to us so we can measure it up for you. This is particularly useful if you have an unusual or modified trailer to make sure you get a perfect fit. We have a range of different colours available and can also provide digitally printed logos to personalise your custom trailer cover. Your company logo and artwork can also be painted straight onto PVC by one of our experienced sign writers. Turnaround is approx 4 working days from the date of payment but if you need your custom trailer cover in a hurry we will always do our best to meet your deadline. Take a look at some of the many different custom trailer covers we have already made in our gallery. Give us a call to discuss the type of cover you need – no cover is too big or too small. We offer a repair service, carrying out small and large repairs to PVC covers. We are able to make repairs on weldable PVC coated fabrics using portable hot air welding equipment.